Pressures work to develop us as a Disciple of Jesus Christ. How you respond to pressure says a lot about your character, but more than anything, it allows the virtue of Jesus Christ to be your virtue. None of us is born for crisis, or pressure. None of us can naturally handle pressure. If you think you can handle pressure, then you have a wrong attitude toward discipleship. Discipleship is not about building you up so you can handle pressure; it is about humbling you into total dependence upon the one who can handle all pressures, even the ones that are most damaging to us, the Reproofs of God. God always designs Pressure to produce His Righteousness in us. The key is HIS righteousness! He has placed Gold in our veins, in our Spirit, and in our Soul. Our fleshly wisdom and ideas, our wrong friends, our wrong habits, our pride, our foolishness, all get in the way of that GOLD shining! He wants us to be GOLDEN, and gold requires the refining process to reveal it. You are already GOLD if Jesus lives in you; God simply wants to reveal him. Moreover, that requires the pressure of the refiner’s fire. 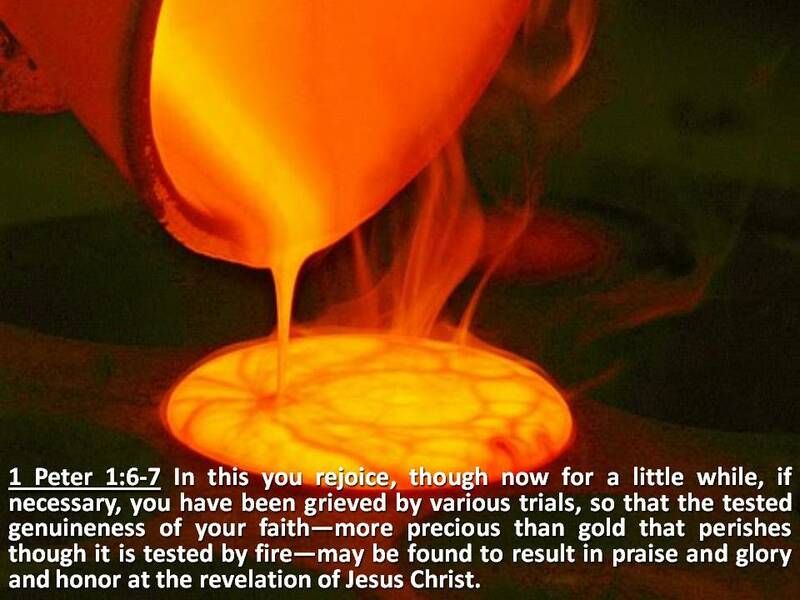 1 Peter 1:6-7 In this you rejoice, though now for a little while, if necessary, you have been grieved by various trials, so that the tested genuineness of your faith—more precious than gold that perishes though it is tested by fire—may be found to result in praise and glory and honor at the revelation of Jesus Christ. More than anything Pressure reveals what are real hope is. And hope is the reason for faith. Discipleship is all about living a life in total dependence and hope in Jesus Christ. God designs pressures to test what we are hoping in. God designs pressures to reveal that we are hoping in the wrong things. You can place your hope and trust in Doctors, but what happens when they make a mistake, or make a wrong diagnosis. You can place your hope in drugs, prescriptive or otherwise, but they can cause problems, or lead to dependence and abuse. You can place your hope in the banking system-credit cards, home equity loans, line of credit, but what happens when they fail, or tighten their standards, or the home value is falling? You can place your hope in friends, charity of churches or neighbors, but you can’t keep going to them for a handout. You can place your hope in the Government and its “safety nets,” but what if there are cutbacks? 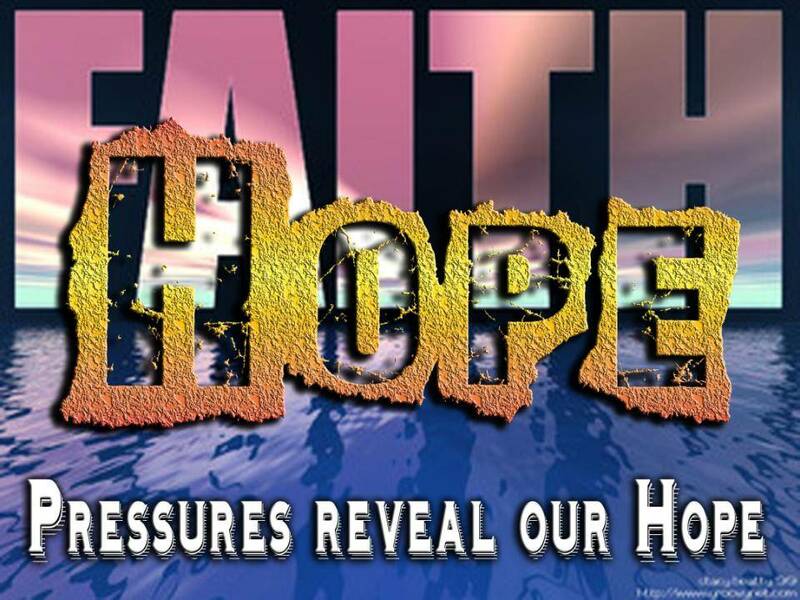 Relational Pressures – Job Pressures – Church Pressures …All are designed by God to reveal true hope or false hope, real faith or pretend. Most of all, Pressures are designed to Develop you as a Disciple of Jesus Christ and cause you to rely on Jesus Christ. That is not God’s Way. God uses pressure to develop us as Disciples. Psalm 25:4 “Make me to know your ways, O LORD; teach me your paths.” Discipleship is about knowing the ways of God and allowing Him to teach you His paths for your life. We will not learn the paths for our life if we do not pay close attention to the lessons He has for us. For example, what happened in the fiery furnace that Shadrach, Meshach and Abednego were forced into? Three became four. 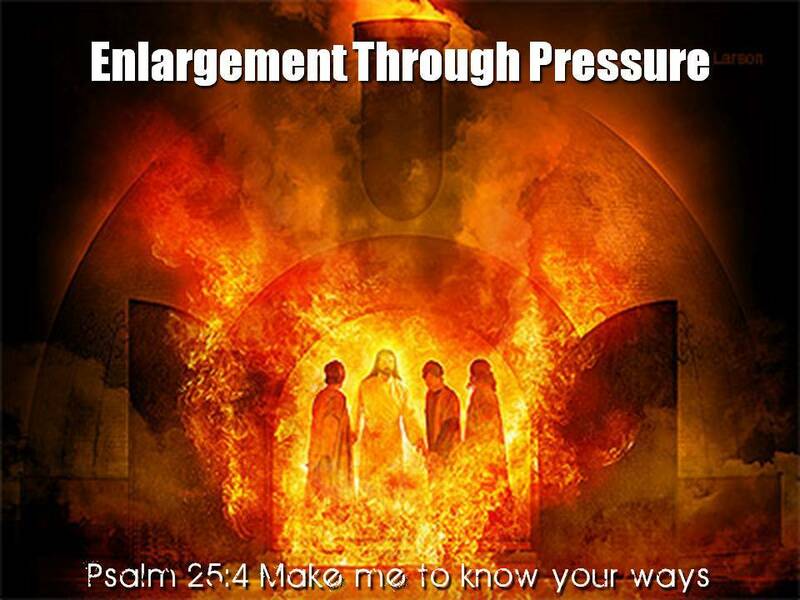 Pressure brought enlargement. Some would find a furnace too confining, so they try to escape. They do not respond to fire, pressure, and limitations. Others accept the pressure, the limitations, and by accepting, make room for a Fourth. Enlargement through Pressure happens when we do not allow difficulties to shut us out from God. Enlargement through pressure happens when we allow them to shut us INTO God. Either pressure will cause you to reach God’s goal, or Pressure can put an end to your discipleship journey. When the way is too straight, the pressure too great, some escape, give up, commit suicide, while others find fullness and growth. When trials are too tough, some murmur, seeing only their limitations. Others praise God for the trials, and in so doing discover the pathways to enlargement, liberation and abundance of life. 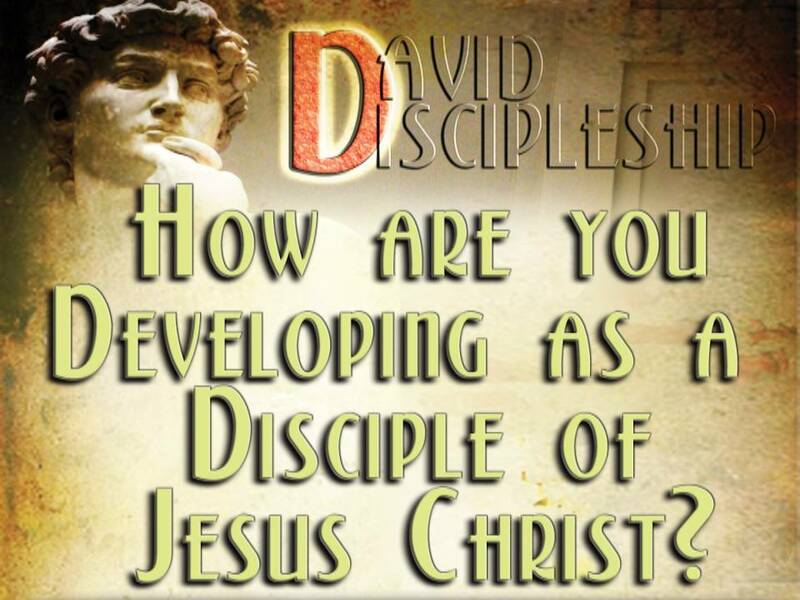 On your discipleship journey, is your spiritual vitality being enlarged or is it shrinking? How have you responded to pressures? The Way of Man is Losing it – go to pieces, run away, drown your troubles, get high, get low, strike back, kick the dog, hit the wife, lash out. 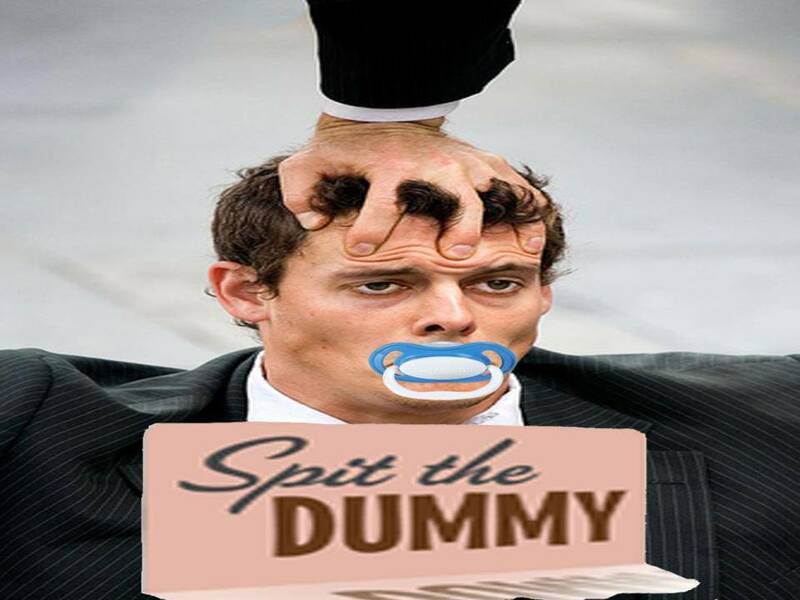 Australians have a saying, you are “Spittin the Dummy” — a “dummy” is Australian for a child’s pacifier. You lost your cool, you spit the pacifier out and now you are crying like a Baby. We often quote Proverbs 3:5 & 6, but we need to go on to 7 & 8. Proverbs 3:5-8 Trust in the LORD with all your heart, and do not lean on your own understanding. In all your ways acknowledge him, and he will make straight your paths. Be not wise in your own eyes; fear the LORD, and turn away from evil. It will be healing to your flesh and refreshment to your bones. Lean not on your own understanding means not being wise in your own eyes. Walking in straight paths means turning away from evil. Trusting in the Lord brings healing to this body and strength to our bones. It will enlarge our life if we acknowledge Him even in the midst of great pressure. Accepting limitations and pressures in total dependence upon God will always allow for an addition in your life. One becomes Two. Three become Four. Pressure enlarges our Life. God is about to force David off the fence. 1 Samuel 28:1-2 In those days the Philistines gathered their forces for war, to fight against Israel. And Achish said to David, “Understand that you and your men are to go out with me in the army.” David said to Achish, “Very well, you shall know what your servant can do.” And Achish said to David, “Very well, I will make you my bodyguard for life.”. 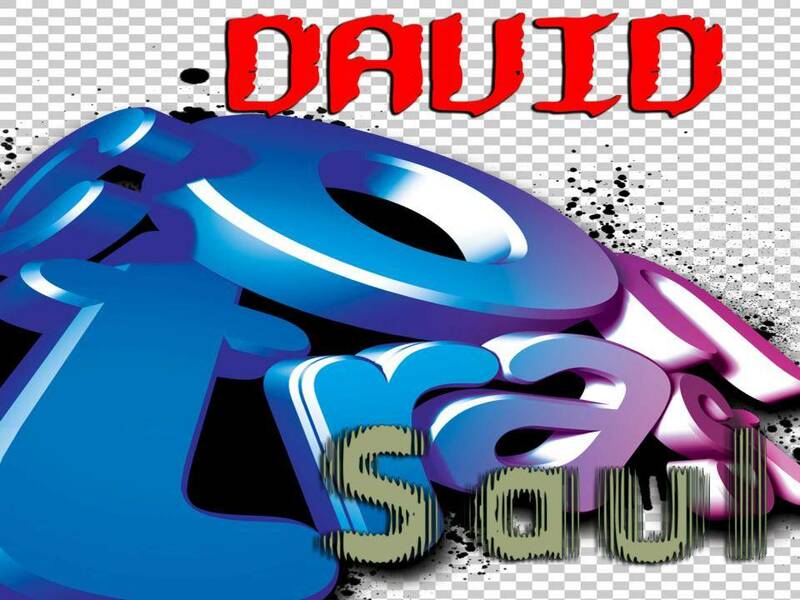 David doesn’t back down, but affirms that he is going to impress Achish as they battle David’s brother’s, the Jews. Achish is so impressed, that he makes David his personal bodyguard for life. David will be fighting right along Achish. David’s pride is dangerously close to causing a fatal error in his discipleship journey. The Settler, the Skewer, the Stinker was about to be forced into fighting against his own people. God was about to reveal the compromising hypocrisy of a Disciple who had taken his eyes off His Promises. 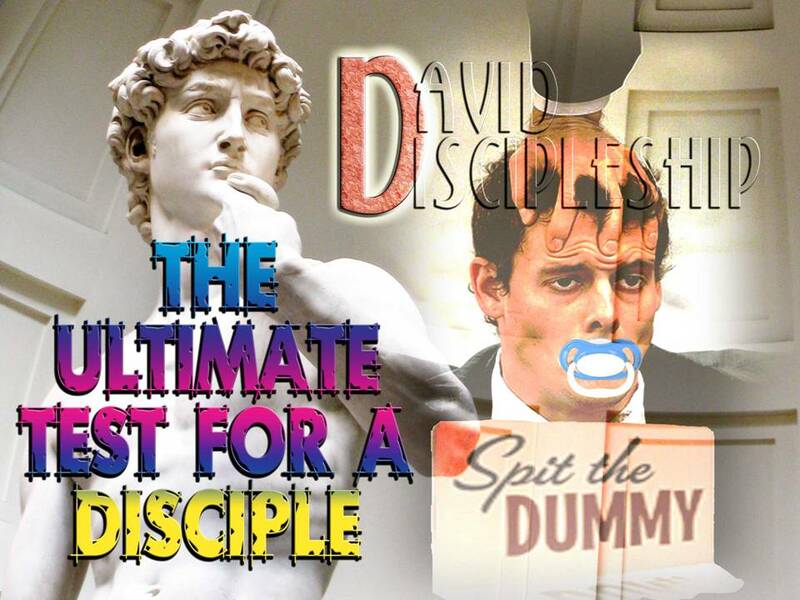 David is days away from facing God’s Ultimate Test for His discipleship. When a believer compromises his walk with God, it will not only place you in harm’s way, but your pride will cause you to defend the very things that are an abomination to God. David was now defending Achish, a sworn enemy of God and His people. Meanwhile, back in Israel, King Saul is getting desperate. Samuel the Prophet was dead. The Priests were all dead, killed by Doeg at Saul’s command. King Saul had tried to get direction from God, but God was ignoring him. 1 Samuel 28:3-6 Now Samuel had died, and all Israel had mourned for him and buried him in Ramah, his own city. And Saul had put the mediums and the necromancers out of the land. 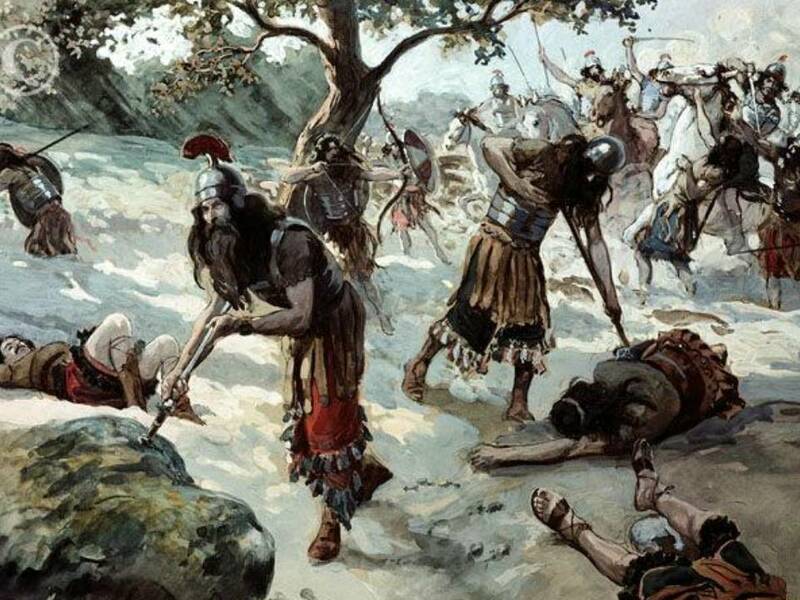 The Philistines assembled and came and encamped at Shunem. And Saul gathered all Israel, and they encamped at Gilboa. When Saul saw the army of the Philistines, he was afraid, and his heart trembled greatly. And when Saul inquired of the LORD, the LORD did not answer him, either by dreams, or by Urim, or by prophets. Palpitations (a feeling of skipped heartbeats, fluttering or “flip-flops,” or feeling that your heart is “running away”). Was Saul fearful because of what could happen to his people, his nation? I believe the evidence suggests his fear was entirely self-centered. He feared for his life, he was not reacting as a true leader should. As with God, Saul’s focus was upon his needs and concerns, rather than God and His people. 1 Samuel 15:26-28 And Samuel said to Saul, “I will not return with you. For you have rejected the word of the LORD, and the LORD has rejected you from being king over Israel.” As Samuel turned to go away, Saul seized the skirt of his robe, and it tore. And Samuel said to him, “The LORD has torn the kingdom of Israel from you this day and has given it to a neighbor of yours, who is better than you. Samuel made an interesting statement… Samuel told Saul that his neighbor was better than he was. What makes one SINFUL MAN better than another SINFUL MAN? Look at David. He is compromising, he has distanced himself from God, he has disobeyed God, and he has bloodied his sword with innocent blood. Why is he any better than Saul? 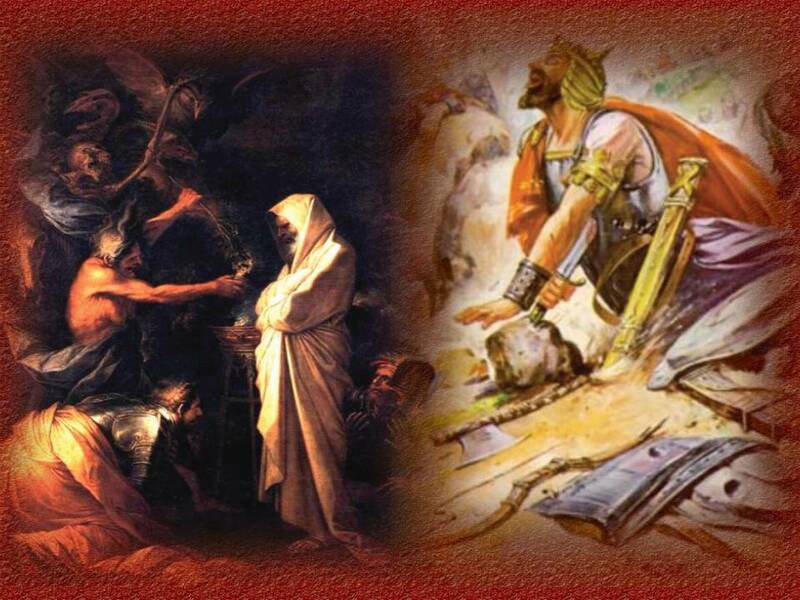 Why should David be blessed and Saul cursed? Why should David rise to be King and Saul fall in battle? The Ultimate Test for a Disciple is How You Respond to the Pressure of God’s Reproofs. This is the key to intimacy with God and knowing and enjoying His Blessing. This will make you better than your neighbor who responds to pressure with a self-focused response. Proverbs 1:22-33 How long, ye simple ones, will ye love simplicity? and the scorners delight in their scorning, and fools hate knowledge? Turn you at my reproof: behold, I will pour out my spirit unto you, I will make known my words unto you. Because I have called, and ye refused; I have stretched out my hand, and no man regarded; But ye have set at nought all my counsel, and would none of my reproof: I also will laugh at your calamity; I will mock when your fear cometh; When your fear cometh as desolation, and your destruction cometh as a whirlwind; when distress and anguish cometh upon you. Then shall they call upon me, but I will not answer; they shall seek me early, but they shall not find me: For that they hated knowledge, and did not choose the fear of the LORD: They would none of my counsel: they despised all my reproof. Therefore shall they eat of the fruit of their own way, and be filled with their own devices. For the turning away of the simple shall slay them, and the prosperity of fools shall destroy them. But whoso hearkeneth unto me shall dwell safely, and shall be quiet from fear of evil. 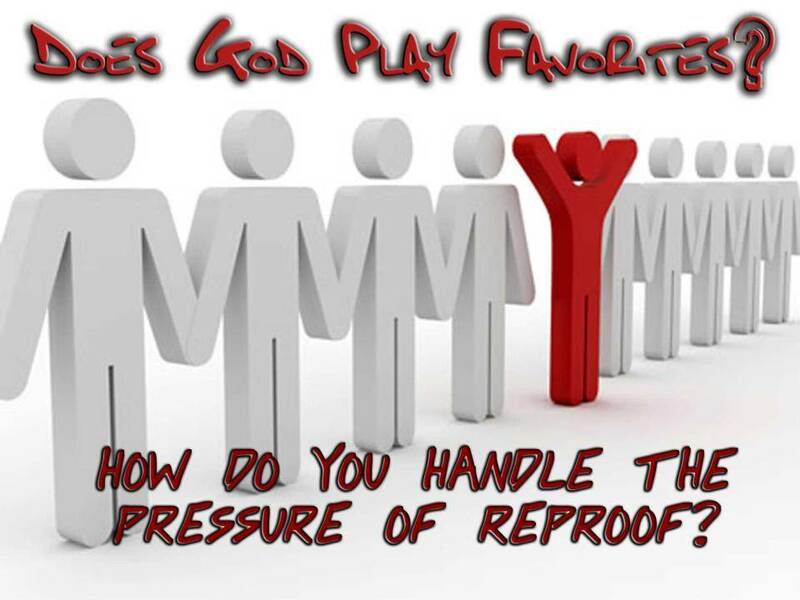 How do you handle the Pressure of Reproof? Hebrews 12:5-7 And have you forgotten the exhortation that addresses you as sons? “My son, do not regard lightly the discipline of the Lord, nor be weary when reproved by him. For the Lord disciplines the one he loves, and chastises every son whom he receives.” It is for discipline that you have to endure. God is treating you as sons. For what son is there whom his father does not discipline? King Saul Despises the Pressure of Reproof because his focus is upon himself. No appeal to God on behalf of the Nation; No appeal to God on behalf of His Name. No appeal to God to deal with the Enemy. No appeal to God for mercy, justice or righteousness. Saul NEVER learned the ways of God. So what does self-focused Saul do? 1 Samuel 28:7-14 Saul then said to his advisers, “Find a woman who is a medium, so I can go and ask her what to do.” His advisers replied, “There is a medium at Endor.” So Saul disguised himself by wearing ordinary clothing instead of his royal robes. Then he went to the woman’s home at night, accompanied by two of his men. “I have to talk to a man who has died,” he said. “Will you call up his spirit for me?” “Are you trying to get me killed?” the woman demanded. 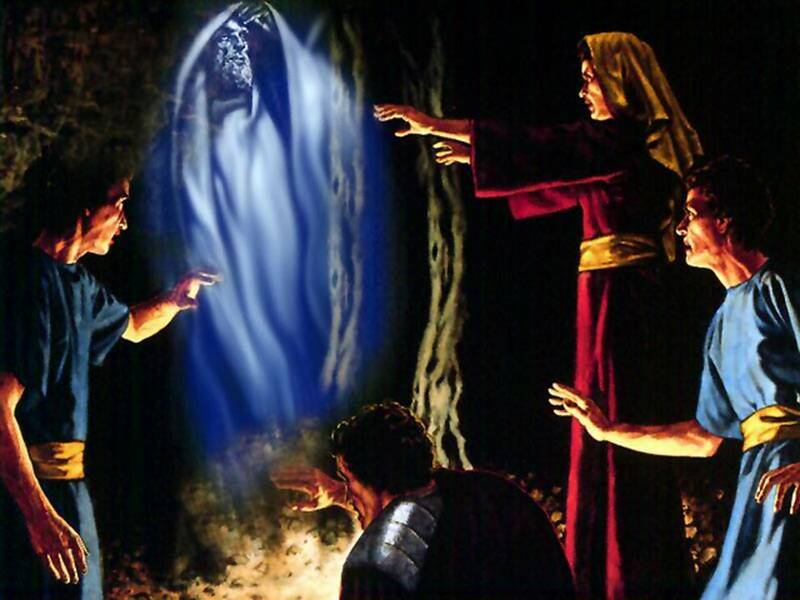 “You know that Saul has outlawed all the mediums and all who consult the spirits of the dead. Why are you setting a trap for me?” But Saul took an oath in the name of the LORD and promised, “As surely as the LORD lives, nothing bad will happen to you for doing this.” Finally, the woman said, “Well, whose spirit do you want me to call up?” “Call up Samuel,” Saul replied. When the woman saw Samuel, she screamed, “You’ve deceived me! You are Saul!” “Don’t be afraid!” the king told her. “What do you see?” “I see a god coming up out of the earth,” she said. “What does he look like?” Saul asked. “He is an old man wrapped in a robe,” she replied. Saul realized it was Samuel, and he fell to the ground before him. Saul is not only “spittin the dummy,” He is “crackin a fruity” (More Aussie slang for ‘Go crazy, insane, weird.’ He is so desperate he is acting insane. He needs some guidance and he wants to conjure up Samuel! He goes to a “witch” to do so! Saul presses full speed ahead and violates God’s Law, violates his own law, endangers the life of the medium, lies to the medium, and disturbs eternity in the process. If this were a science fiction movie, we would start to see a fissure crack between the two universes. God had said this: “Thou shalt not suffer a witch to live” (Exodus 22, 18). What used to happen was if a person was found to be a witch or a man was found to be practicing as a wizard, God said they must be put to death – capital punishment was carried out. 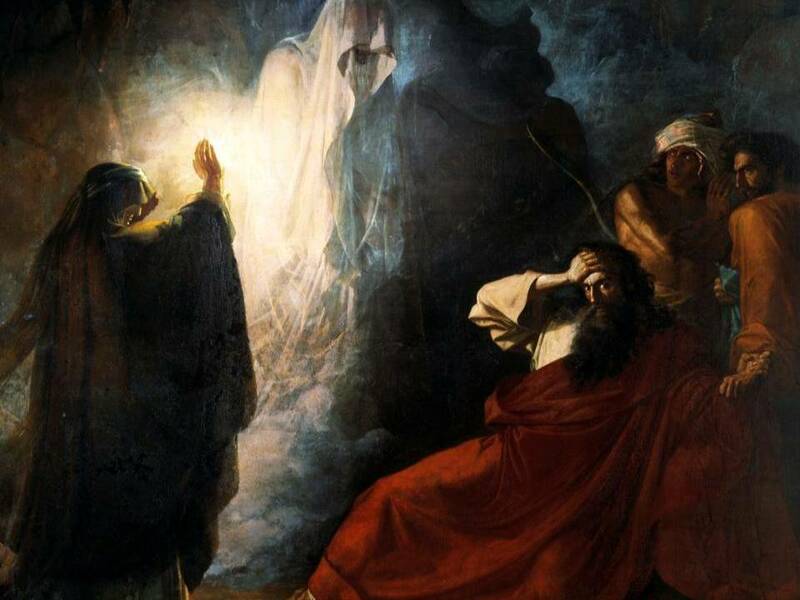 Now Why Did Saul seek out this Witch contrary to God’s Word and his own command? Unconverted? : He was never converted to trusting Faith in God. (Some would disagree) Many professed Christians use astrology and even consult ‘psychics’ (Nancy Regan). However, why would God anoint a heathen as the first King of Israel, the throne His Son would later sit upon? Fear: Fear causes us to do and say things we normally would not do. Lawyers use the term ‘duress’ as a means of showing their clients were not acting in their right mind. Trusted in Man rather than God: He thought if he could just get Samuel’s blessing, he could prevail against the Philistines. He was hoping in man, just as he had done all his reign as King. He knew the Philistines had him outnumbered. He hoped that Samuel could appeal to God on his behalf. Job (32:19) uses ‘obe’ as a bottle that may burst under pressure. They were searching for a woman who was a container of a conjured spirit. She was a necromancer, able to speak with dead spirits. Often these were people skilled at ventriloquism, able to throw their voice as if someone else was speaking in a room. ʾôb̠: A masculine noun meaning a conjured spirit, a medium or necromancer; or a leather bottle. 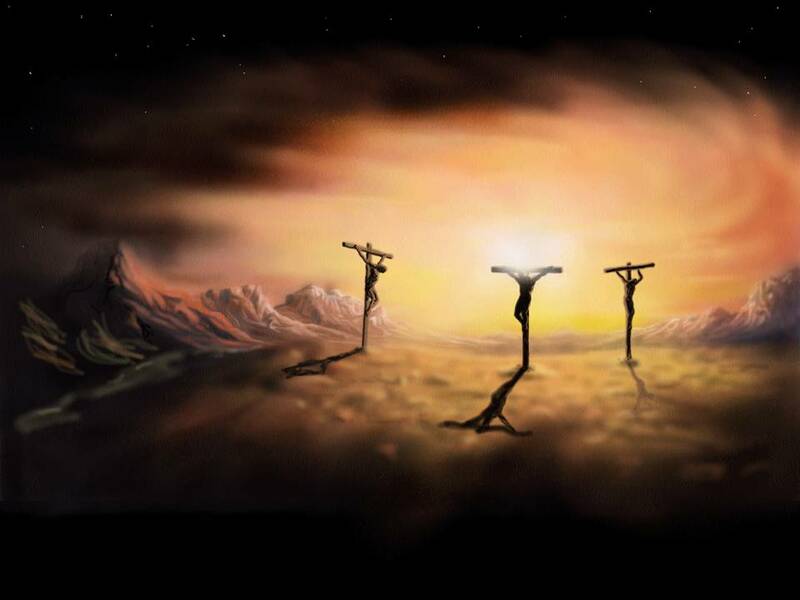 The primary use of the word is connected to the occult practice of necromancy or consulting the dead. It is used to signify a conjurer who professes to call up the dead by means of magic, especially to give revelation about future uncertainties (1 Sam. 28:7; Isa. 8:19); a man or woman who has a familiar spirit (Lev. 20:27; 1 Chr. 10:13; Isa. 29:4); the conjured spirit itself, particularly when speaking through the medium (1 Sam. 28:8; 2 Kgs 21:6; 2 Chr. 33:6). The Israelites were strictly forbidden from engaging in such practices or consulting mediums (Lev. 19:31; Deut. 18:10-12). Interestingly, the word is used once to signify a leather bottle that may burst under pressure (Job 32:19). There is no convincing evidence that this particular reference has any occult connotations. Rather, the connection between the two divergent meanings of this Hebrew word is probably that a medium was seen as a “container” for a conjured spirit. I think it is so telling of God that a man blowing his top in a pressure situation is looking for a woman who contains an ‘obe’, for this ‘obe’ is about to ‘crack a fruity’ all over Saul’s head. Saul disguises himself and asks this medium to conjure up Samuel. She goes into the back room where she does her mumbo-jumbo thing. I think she is about to throw her voice to pretend its Samuel when the real Samuel appears. I do believe there is a powerful unseen world of demons. I do believe that Satan is actively at work in this world. I do believe Christians need not fear as long as they abide in Jesus Christ. That is why I believe it is so important for you to daily lift up the Name of the Lord upon your House, you spouse, your children and grand-children. When you resist the grace of God in your life, when you rebel against the authorities God has put in your life, when you willingly consult astrology or psychics, even Ouija boards, you are opening yourself to this unseen spiritual world of demonic influence. If we are obeying the King and following His designs and laws, the Kingdom of God will protect us against this demonic world. However, if we are not following the King, not being subject to His laws, then we leave His Kingdom and are subject to the demonic kingdom. That is why there is so great a need for righteous men to join together in binding the evil one from their community. We can unite in prayer to cast his influence out. When Saul heard Samuel’s message, there was no humility, no turning to God, no repentance, just fear! Saul fell full length on the ground, paralyzed with fright because of Samuel’s words. He was also faint with hunger, for he had eaten nothing all day and all night. This is the picture of an ungodly man whose roots are shallow and based upon himself. This is not the picture of a man whose trust is in God, and in His word meditates day and night, whose leave’s does not wither, even in the heat of fire and pressure. There is nothing left for Saul but to go on his way and face life the best he can. He has lost his cool, spit his dummy and cracked his fruity. Even the witch has pity in him and makes him eat some food. When the woman saw how distraught he was, she said, “Sir, I obeyed your command at the risk of my life. Now do what I say, and let me give you a little something to eat so you can regain your strength for the trip back.” But Saul refused. The men who were with him also urged him to eat, so he finally yielded and got up from the ground and sat on the couch. The woman had been fattening a calf, so she hurried out and killed it. She took some flour, kneaded it into dough and baked unleavened bread. She brought the meal to Saul and his men, and they ate it. Then they went out into the night. After they ate, they went out into the night. Saul walked out into the night and grew smaller and smaller, until things got so bad, the only way out for him was to commit suicide. The pressure was too great, God too distant. Saul failed the pressure test of a Disciple. 1 Samuel 31:1-6 Now the Philistines fought against Israel; and the men of Israel fled from before the Philistines, and fell slain on Mount Gilboa. Then the Philistines followed hard after Saul and his sons. And the Philistines killed Jonathan, Abinadab, and Malchishua, Saul’s sons. The battle became fierce against Saul. The archers hit him, and he was severely wounded by the archers. Then Saul said to his armor bearer, “Draw your sword, and thrust me through with it, lest these uncircumcised men come and thrust me through and abuse me.” But his armor bearer would not, for he was greatly afraid. Therefore Saul took a sword and fell on it. And when his armor-bearer saw that Saul was dead, he also fell on his sword, and died with him. So Saul, his three sons, his armor-bearer, and all his men died together that same day. Saul killed himself, because he was more concerned for how his dead body would be treated than how his live body fought the Battles of the Lord. This reveals the Heart of the matter of any Disciple who fails the Pressure Test and spits the dummy or cracks the fruity or simply walks away from the Lord. He is more concerned about himself than he is about Battling for the Name of the Lord! Discipleship means you join yourself with the Lord, and you partner with Him in battling against the devil and the world. To battle for the Name of the Lord means you must abandon your self, your comfort, your reputation, for the sake of His Name and His Cause! We must fight to bring the Kingdom of God to bear here on earth as it is in heaven. We must strive earnestly to lift up the Name of God! In every cause that Saul was given – to wait for Samuel, to destroy all of the Amalekites, to not consult with mediums, he put himself first, just as he did in his dying. 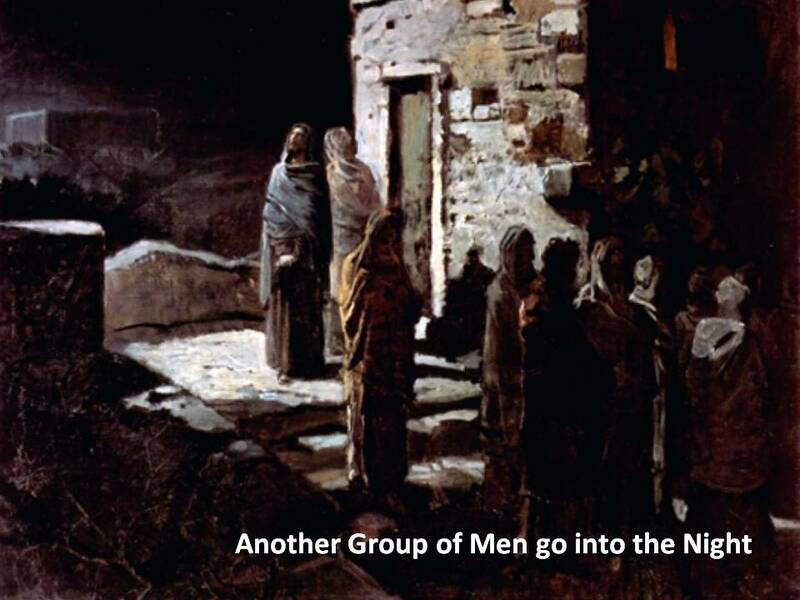 Centuries later, another group of men had their last meal together, and then after singing a hymn, head off into the dark night to the Mount of Olives. Their leader knows the enemy will soon surround them, knows that terror await him, but He is not afraid. It is for this pressure test that He was born. Sure his disciples would fall asleep as he sweat drops of blood, but soon He knew they would be wide awake. Sure, his disciples would run away and shrink back, but He knew they would benefit from what he is about to go through. He knew they would be transformed into mighty Apostles of Christ. Jesus took the greatest pressure test ever devised by man or Satan, and instead of being just one, He was enlarged to become Many! The Church was born! His Sons and Daughters now live in the Power of the Cross-because that fateful day He did not shrink from the pressure. Luke reveals it in his Gospel when he quotes Jesus as saying, “Strive to enter in at the strait gate” (Luke 13:24). This puts an important perspective on this command of Christ. We do not just open up the strait gate and walk in unopposed. There is a battle that goes on within our souls, because our enemy does not want us to find the way of life. Disciples are going to be in constant battles involving their trust in the Name of the Lord! Paul stated, “We must through much tribulation enter into the kingdom of God” (Acts 14:22). In Scripture, the gate is used as a symbol of decision-making and of managing internal affairs. One Greek word translated strive is agonizomai. From it we get the English word agonize. The word entails contending for victory in public games, fighting, or making warfare. It involves pain in the struggle for a public prize. To strive is to make every effort to achieve the goal, as Paul described in Colossians 1:29 To this end I also labor, striving according to His working which works in me mightily. “So I do not run aimlessly; I do not box as one beating the air. But I discipline my body and keep it under control, lest after preaching to others I myself should be disqualified.” (I Corinthians 9:26–27). In the Christian life, “striving” is not our performance of God’s will, but it is our surrender to God so that He can carry out His will in us. Striving grows from the Disciple’s Heart of Dependence. 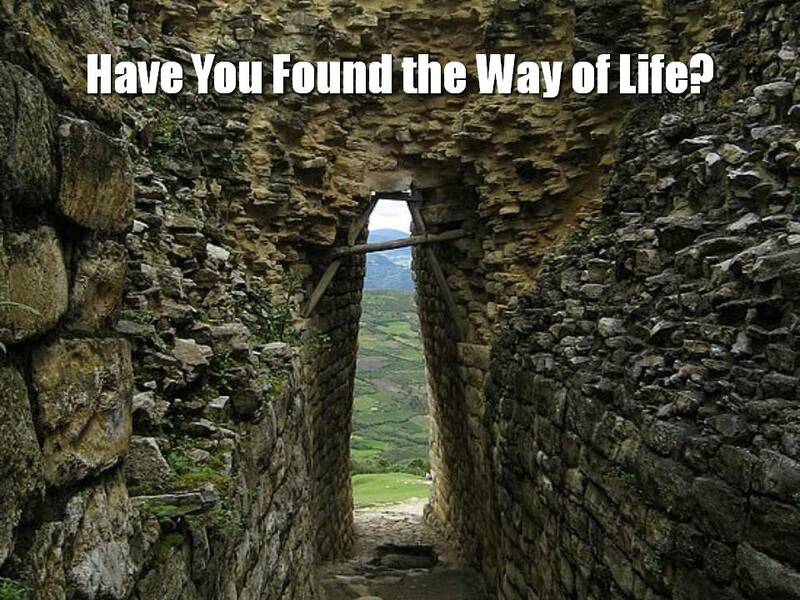 Jesus’ answer was that few would find the way of life. We are concerned with people being saved, but Jesus was more concerned with people finding the way of LIFE. Salvation is not a prayer, it is a way of living, and that living means we must not run away from pressure, nor seek our own comfort, our own way, we must not spit a dummy or crack a fruity. We must willingly submit to the Pressures of Life and Reproofs that we might be enlarged as a Disciple. A Disciple must become disciplined to respond to Pressures in the Name of the Lord, Sword in Hand, ready to do Battle for the Lord! Pressures, even the pressures designed to reprove us, provide Opportunities for God’s Kingdom to Grow and God’s Power to Provide. Is your heart and love for God and His people growing? Perhaps you have stiffened your neck to His reproofs in the past. Perhaps it is time to repent and focus upon the great needs of God’s Kingdom. Are you actively partnering with God to bring His Kingdom to bear on this world? Or is your tiny heart focused upon your own kingdom? Warren Baker and Eugene Carpenter, The Complete Word Study Dictionary – Old Testament, (Chattanooga, TN: AMG Publishers, 2003), WORDsearch CROSS e-book, Under: “ôb̠”.